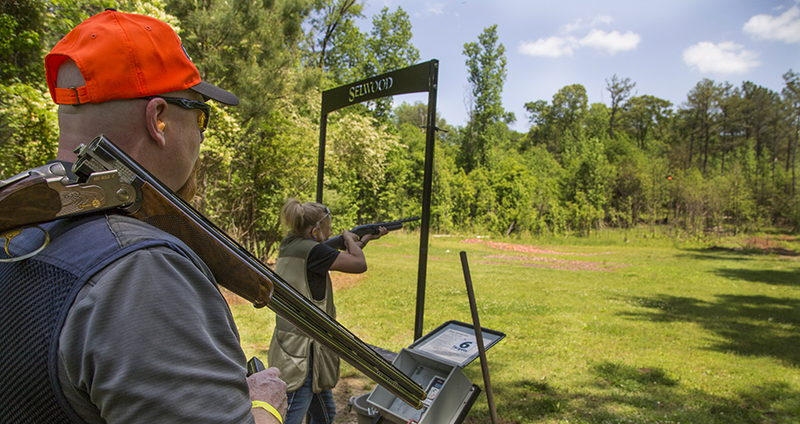 Established in 1996, the Greater Alabama Sporting Clays Classic has grown into an annual tradition for area shooters that has raised $2 million for the Boy Scouts of America. Proceeds help fund inner-city outreach and outdoor programs that benefit thousands of youth across North and Central Alabama. The event begins Thursday, May 16th with our Gold Day activities, including an afternoon warm-up shoot at Selwood Farm in which teams compete for the coveted Land Rover Cup. On Thursday evening, all shoot participants and their guests are invited to attend the Land Rover Sportsmen’s Reception in the Land Rover Birmingham showroom. Guests may bid on several silent auction items and have a chance to win a showcase gun donated by Steyr Arms, Inc. — all while enjoying a Cajun feast prepared by event sponsor IBERIABANK. The Classic competition will be Friday, May 17. Event include Sporting Clays, 2-man Flurry, 4-man Blast, Helice and Make a Break. Teams have the option of choosing a morning or afternoon flight. Lunch will be served, and the event will conclude Friday afternoon with an awards ceremony. To register for our 2019 event, click here.